The day will be filled with activities including face & pumpkin painting and a costume contest for the kids. Plenty of participants selling art and crafts. Ghost Hunters and Paranormal Researchers. Artist and writers promoting their work and projects. Tarot readers, astrologists, a reiki healer and more offer their services. Scary movies screened all day. The evening will bring entertainment with belly dancers, a fire spinner, ghost stories and much more to be announced . 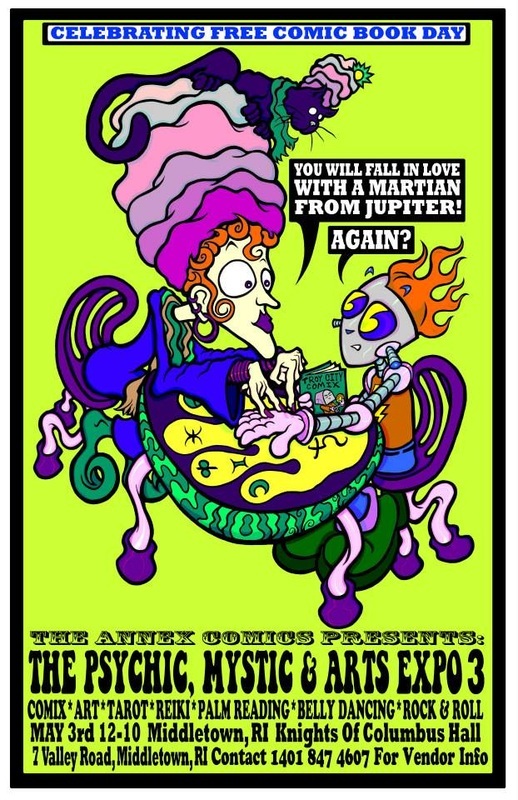 Artisit Meghan Turbitt will be appearing at Annex Comics on Saturday, March 30th, 2013 from 4 PM to 6 PM. Free portraits for everyone who buys a copy of her new comic! 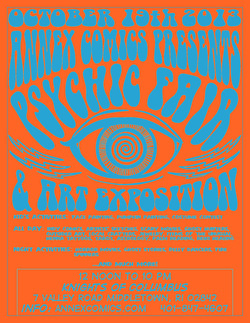 See poster on annexcomics.com for details! ATTENTION VISUAL ARTIST! FREE GALLERY SPACE OPEN CALL! Looking for Painters/Sculptors/Designers willing to display their work in a store window on Broadway in Downtown Newport, Rhode Island. Broadway is a main street by which tourists from all over the world enter this city by the sea. Hundreds of thousands of people walk and drive by this display space every year. The Annex is a full service comic book, book and video store located at 314 Broadway, diagonally across from the Newport Hospital. Offered is an approximately 6 feet wide by 7 feet tall by 3 feet deep window setting for artwork. Artwork should preferably be bold and strikingly visible at a distance. Our store, Annex! Comics, has been a full service comic book store and more since 1984, and under current ownership since 1998. We specialize in new comics, old comics, trade paperbacks, pulp and horror fiction, action figures (both domestic and import) and cult and hard to find dvds!